Normally, each field placed into the Search Form View will add the appropriate searchable widget on the front end. 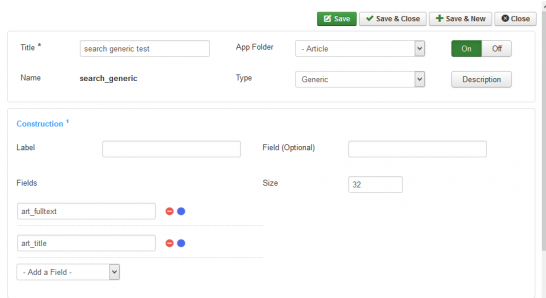 With this field you can search across several fields from a single user input. In the options simply add any field that you wish to be searched.